More than six months after Apple Watch made its public debut, the device will finally be available to preorder this Friday. Six months of rumors, news, and breathless anticipation is a lot of hype for a new gadget, so plan accordingly if you expect to buy or try one on in-store. We’ve come to expect throngs of eager Apple fans to line up in advance of a new product, but it’s easier than ever to just buy what you want online and avoid the hassle. According to an employee memo from Apple retail chief Angela Ahrendts obtained by Business Insider, the company wants the in-store experience for Apple Watch and the new MacBook to be more about trying out the new products than taking them home the same day. 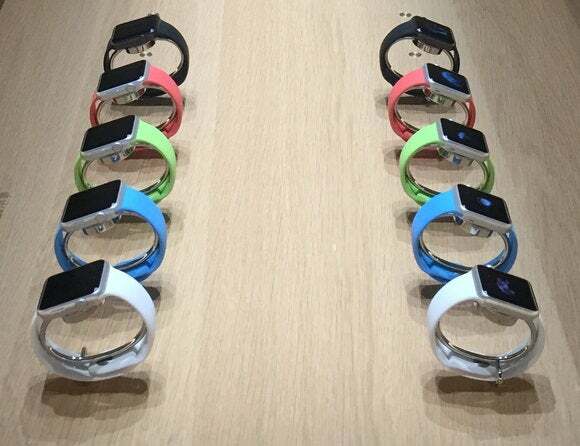 Apple Stores will have watches for you to try on, but they might run out of inventory. When the iPhone 6 was released, I decided to skip preorders and wait for demand to die down so I could buy my new phone in-store. I was shocked at how badly this plan backfired. More than a month after Apple started taking preorders for the 6 and 6 Plus, I went to the Grand Central Apple store in the heart of Manhattan to pick up a gold iPhone 6 and was nearly laughed out of the building. “You might want to check online,” an Apple employee said after swiftly dashing my dream of purchasing a phone that day. I checked the inventory of every store in my area. I called AT&T stores in hopes that one was a last bastion for new iPhone inventory. The gold iPhone 6 was nowhere to be found. I trudged home in defeat to order my phone online and wait for it to be delivered in 7–10 business days. I’ve learned my lesson: I’ll try on an Apple Watch in-store, but buy one online. 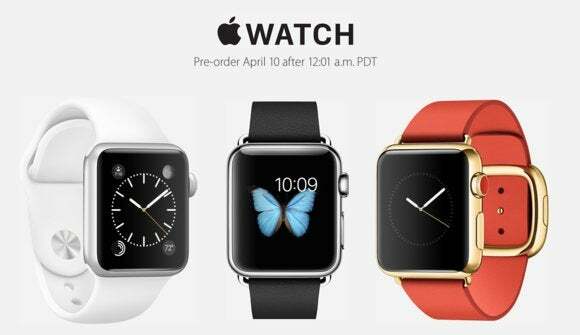 We’ll have a better idea of how well Apple Watch will sell after preorders begin on Friday. Both stores and iOS developers are gearing up for the big launch: More than 1,000 Apple Watch apps were submitted in the four days after the App Store began accepting them last week, Cook said in his memo to employees. 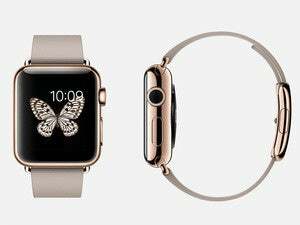 Are you going to try on an Apple Watch before you place your order, or sit this one out? Let us know in the comments.